The hardest part of making soap is often waiting to unmold it to see the finished product. Luckily, there is an easy way to cut down the wait time. Sodium lactate is a liquid salt that can be added to cooled lye water in order to speed up unmolding time. 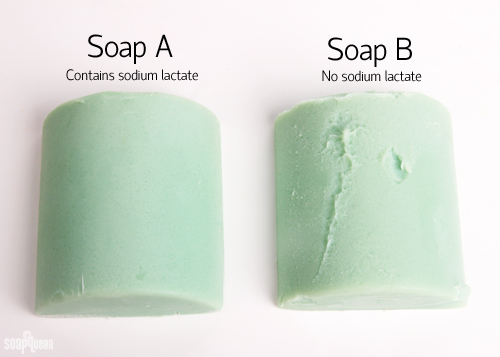 Using sodium lactate produces harder, longer-lasting bars of cold process soap. Derived from the natural fermentation of sugars found in corn and beets, sodium lactate is the sodium salt of lactic acid. Naturally a liquid product, sodium lactate is also available in powder form. Sodium lactate is commonly used in food products as a preservative. It’s also an extremely effective humectant, helping to strengthen the skin moisture barrier. 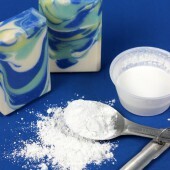 When making cold process soap, sodium lactate is added to cooled lye water. Lye water can reach temperatures up to 200°F. For soap making, it’s recommended to wait until the lye water has reached temperatures of 130 °F or below. Once the lye has reached optimal soap making temperature, the sodium lactate can be added. The usage rate for sodium lactate is 1 tsp. per pound of oils. Simply measure out the sodium lactate, and stir into the cool lye water. Be careful not to use too much; using too much sodium lactate will result in a hard, crumbly bar of soap. 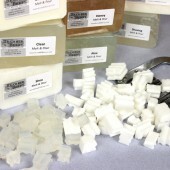 Below are two batches of soap created with the Basic Quick Mix. The only difference between the two is soap “A” was made with sodium lactate, while soap “B” was not. After 24 hours, both soaps were removed from the mold. Soap “B” is much softer than soap “A,” and stuck to the mold while removing. 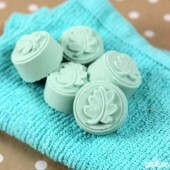 Soap “A” is much firmer, and came out of the mold smoothly. Below are the two batches cut in the center. Because soap “B” is still soft, the knife stuck to the soap. Soap “A” is harder in the center, and the knife was able to make a clean cut all the way through the soap. 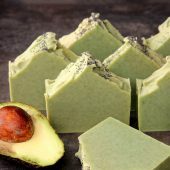 Sodium lactate is especially useful when creating soap that is palm free, or contains a high amount of soft oils. In the Palm Free in the Pot Swirl tutorial, adding sodium lactate would assist in unmolding. 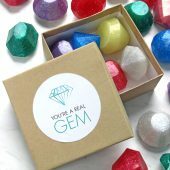 This is especially true for the Castile Cubes Tutorial, which is created with 100% olive oil. Castile soap is notoriously soft and requires a long cure time. 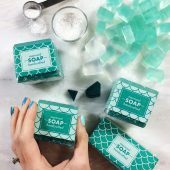 Using sodium lactate makes these soap easier to unmold, which speeds up the drying process. 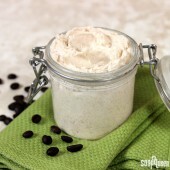 Sodium lactate can also be used in lotions to create a thicker, more hydrating product. 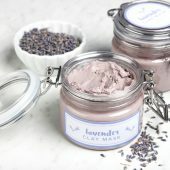 In the Fresh Face Oil Free Lavender Lotion and Argan and Shea Lotion recipes, sodium lactate is used to create a creamier texture. The humectant properties of sodium lactate keeps skin moisturized longer. In addition to hydration, sodium lactate cuts down on the stickiness sometimes found in lotion with a high glycerin content. In lotion recipes, a little sodium lactate goes a long way. 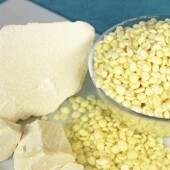 Typically, the sodium lactate is used at 1-3% of the total lotion recipe. Have you used sodium lactate in your cold process soap or lotions? I use sodium lactate in almost every cold process recipe, I love cutting down on wait time! is this the additive that you can put in a bath bomb so you don’t get ring around the tub? Hallo, you told that SL will speed up the unmolding time. Can you specify approximately how much? 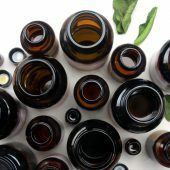 If using sodium lactate in my soap, will my “All natural ingredients” claim be in compliance? Sodium Lactate is a liquid salt that is naturally derived from the natural fermentation of sugars found in corn and beets. However, the term “natural” isn’t regulated and means something different to everyone. 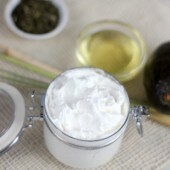 For instance, some may consider our shea butter natural because it’s from a natural source. However, others may not because it’s been refined. It’s up to you what you consider natural! 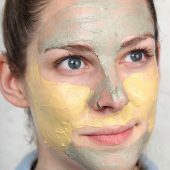 It looks like this thread is mostly for those using sodium lactate for soap. I love using it in lotions instead of glycerin. Glycerin can make your lotion feel sticky. 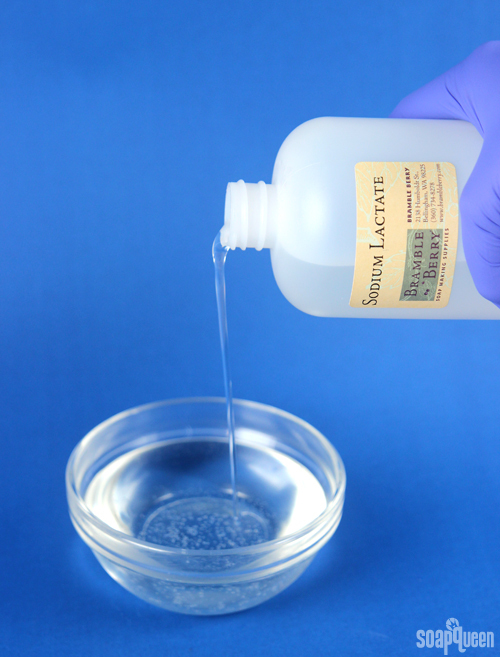 Sodium lactate feels silky, and works on the hands even after they are washed. This is my first time using sodium lactate with CP and the lye/oil mixture turned into a very thick glop within a few seconds of being mixed and I had to scoop it out rather than pour as usual. The lye water was room temp when I added the sodium lactate and the oils were about 90 degrees F. Can you please confirm that I should have added it at normal soap making temps (about 110F typically for me) and this was likely my problem? I did get some LabColors and fragrance mixed in after it thickened and again had to spoon scoop it into molds where it will likely have air pockets when it hardens similar to my first batch. Is the palm kernel oil in your batch in flake form? Also, what was your superfat? I’m thinking it may be a temperature thing! Yes it was flake and the superfat level was 5%. Perfect, thank you. I’m thinking it’s a combination of the hard oils and temperature. Palm kernel flakes have a higher melting point, so we recommend having your oils and lye around 135-140F. That way they will still melted the whole time and not thicken up the batch. I just made a batch of cp soap today and used SL for the first time. In my excitement I somehow missed the directions on adding it to the lye water and I added it directly to the soap at trace instead. 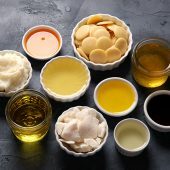 I used the recommended 1 tsp per pounday of oils. My soap did accelerate at this point (not totally sure it was the SL, but I hadn’t added fragrance to the white portion and that had accelerated, too). I had to improvise and do a layered design vs a drop swirl like the original plan. I’m wondering if not adding the SL properly could have any negative effects on the outcome of the soap? 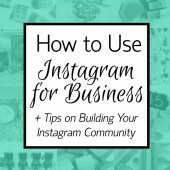 Thanks for all the great info! I used Avocado Oil, Castor Oil, Coconut Oil, Jojoba Oil, Palm Oil and Olive oil. My oils were approx. 35 oz, and I used 2 tsp of sodium lactate before splitting for colors. 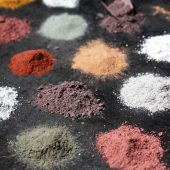 I split the batch into 1/2 white (titanium dioxide) , 1/4 brown (brown oxide pigment), and 1/4 red (Brazilian red clay). I added about 1 1/2 tsp of cranberry seeds to the white only, and 1.75 oz of Oatmeal Milk and Honey Fragrance to the brown only (oddly the brown didn’t accelerate nearly as much as the other two). Thanks so much for the recipe! 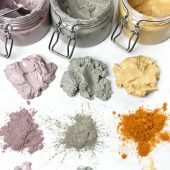 Did you mix the clay and titanium dioxide beforehand? If so, what did you mix them with? Thanks! I did mix them prior. 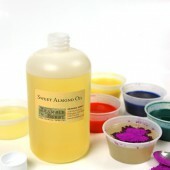 I used sweet almond oil, one Tbs oil and one tsp colorant. 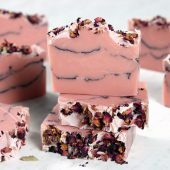 Can I use Sodium Lactate in M&P soaps to make a harder bar? Sodium lactate works differently in cold process than it does in melt and pour. Because cold process is made from scratch, the sodium lactate helps harden the bars. 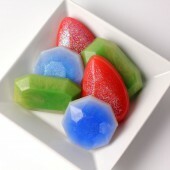 Melt and pour has already been made, so the sodium lactate would just add extra liquid to the bars and not harden them. We don’t recommend in melt and pour. 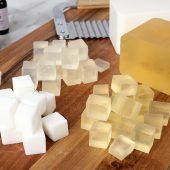 I have used SL for my last two batches of Cold Process soap and both times I have achieved a very light trace, right where I wanted to be before adding my fragrance oils. Only to add them and have my batch turn into super thick trace, can no longer pour but have to glop my batter into some semblance of the design I originally was hoping to achieve. I have successfully used the fragrance oils before, the only new addition is the SL. Could the SL be causing the trace to advance that fast? The soaps still turned out really nice, just had to go with the lack of flow and make a slightly different bar of soap than intended. If I could figure out how to add a pic I would show ya. 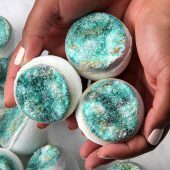 The first batch I made was the Galaxy Soap and I used the recommended amount, I want to say 2 teaspoons to the lye water. 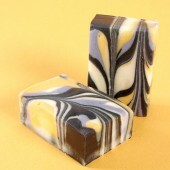 The second batch was the lemon linear from the new soap queen book. I did use less then recommended in the second batch, one tablespoon as opposed to one and a half. For both soaps the lye water and oils were right around 110 degrees when I combined them. I did however add the sodium lactate to the lye water right after combining the lye and water and not after it has cooled. Now that I read it more carefully I see that. Maybe that is my issue? 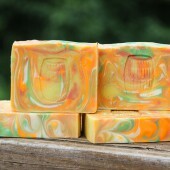 For the lemon soap I used 2 oz bergamot and 2 oz litsea cubeba. 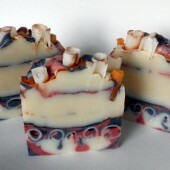 The galaxy soap I used 1 oz green fig and 1.2 oz of pomegranate and black currant oil. I got all my oils from brambleberry.com. 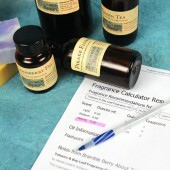 I have used fragrance and essential oils in the past, if not these specific combinations and I know they accelerate trace . That is why I stopped stick blending at such a light trace. 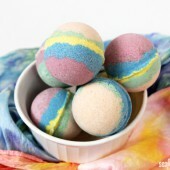 With the galaxy soap in particular, I stopped stick blending at very light trace and I rested the blender in the bowl. 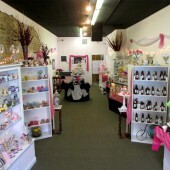 I grabbed the five measuring cups and colors and was lining everything up, along with the fragrance blend. It was a couple mins max and when I tested the soap it was already super thick and I remember cringing at the thought of adding fragrance to it as it would only get thicker. With the lemon soap , remembering what happened previously I used the stick blender for 10 sec bursts and then paused for a while to see if it continued to thicken while at rest. This time I took the stick blender out at a very light trace and grabbed my prepped lemon rind and juice and was folding it into the soap with a spatula and it started to accelerate very rapidly. By the time I added the fragrance oils they just floated on top of the thick batter. Thank you for all your help. 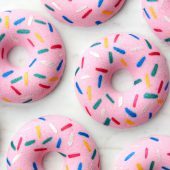 I found a soap recipe that calls for sodium lactate that is “60 percent.” I’m sorry if this is a silly question, but I’m not sure what this means. Is Bramble Berry’s sodium lactate 60%? I want to use SL. I ordered some online but it came as a salt/crystals/powder. The SL you use is liquid form. Can i use dry SL in my CP soap or do i need to somehow reconstitute it? If so how much SL to liquid ratio? Thanks so much for any input you can provide. Sooo, can it be added to cooled lye milk instead of water? I bought sodium lactate to use in my goats milk lotion and it turns out, it doesn’t keep it from going rancid. So now I have a bottle of it. sorry, also, when you make soap with sodium lactate, how long does it take to cure? I love to use EDTA and it really adds to cleaning and suds. I also use Sodium Lactate and ask if there is any contra indications in mixing the two at prescribed rates. I recognize some do not like to use EDTA or are reluctant to do so as it may disqualify the product as being organic. I was using glycerin in place of a carrier oil but found it makes the soap to soft. Any comments are welcome. i want to make a HP Sulphur-Salt Soap (10% Sulphur in Lye and 60% after sapofined). I know Sulphur make a Soap softer. Salt make the Soap harder. But i want a smooth, hard soap. Can i do both, Salt at the end and SL in the Lye (perhaps 2%). Can i make this? I assume that there are more pros to using sodium lactate than table salt–would you mind explaining what they are? (Does table salt not act as a humectant?) 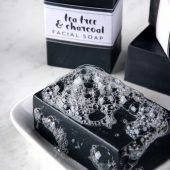 I read through most of the comments and it’s repeatedly said that it’s perfectly fine to use either, but the difference between the two–the effects each has on the soap–is never explained. So how do you decide which to use? 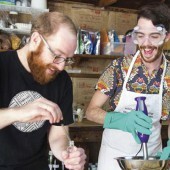 Also… according to http://www.thesoapbox.co.nz/soap-ingredients.htm, “Sodium Lactate: Humectant – helps binding with water, reduce water loss from the soap, keeps the weight of soap high (basically a marketing tool to sell water).” When you say, “Using sodium lactate produces harder, longer-lasting bars of cold process soap,” it is insinuated (to me at least) that sodium lactate helps increase the water evaporation rate… But it actually does the opposite? 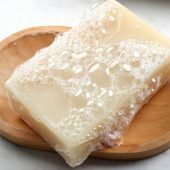 Brambleberrry.com’s usage rate for sodium lactate is .4-5% of oils–If you are making castile soap would you suggest going all the way up to 5%? Maybe even more? I’m not entirely sure what sodium lactate does to the evaporation rate of soap! We have bars in our lab made with and without it, and we haven’t noticed any big changes in the weight of the bars. I would recommend making soap with the salt solution and sodium lactate. That way you can see which one you prefer, and if you notice a difference in the weight of the bars. One more question: Does sodium lactate expire? Also, am I supposed to be notified via e-mail when I receive a response on here? I lied, THIS is my last sodium lactate question. You recommend using 1 tsp PPO, but on Bramble Berry it says you can use up to 4% PPO (I accidently put 5% earlier). If I’m making a recipe using 3 lbs, or 48 oz of oil, that would be 3 tsp, which is a little over half an ounce (this is about 1% PPO). 4% of 48 oz is 1.92 oz–That’s a pretty big difference (4x more than you recommend). But, as I mentioned earlier, I’m using all olive oil as the base, so would 1.92 oz be alright? After looking into this further, I realized the .5-4% usage rate for sodium lactate was for lotion. I am so sorry about that. 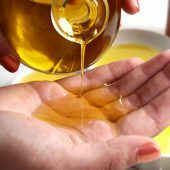 For soap, we recommend the 1 teaspoon per pound of oils. If you go higher than that, the soap can be quite hard and may crumble. If the soap is lye heavy, laundry soap is the way to go. Laundry soap is made up of several ingredients, including washing soda and baking soda. Because of that, the Bay Rum smell shouldn’t be too strong! 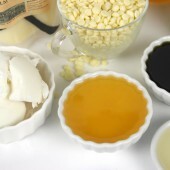 You can leave the laundry soap unscented, or add another fragrance oil to the mix to mask the Bay Rum a bit. 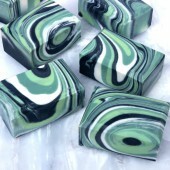 For instance, a touch of peppermint essential oil would add some freshness to the soap! The comments on the Sudsy Shampoo Bar is closed. I thought I might find the answer here. 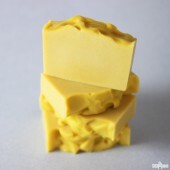 With the citric acid creating a “softer” shampoo bar initially, would you be able to add SL to make it more firm? Or would the salt interfere with the lather? I have not used SL before, but am curious to learn more about it. Thank you. 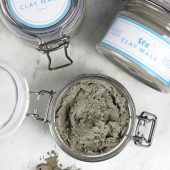 Can you use sodium lactate in salves/balms and solid lotion bars to harden them up as well? Kind of to avoiding using all my beeswax. 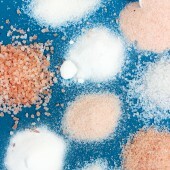 While sodium lactate helps soap harden up, it will not have the same effect in salves and balms. It will likely not want to mix in very well, and won’t harden those salves up. 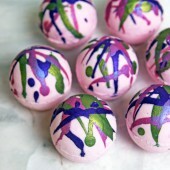 Instead it may pool on top of your lotion bars, which wouldn’t look or feel too great! I’m so thankful for your website when I play around with my concoctions – thank you!! I was wondering though if you would consider this a natural ingredient on a soap label? 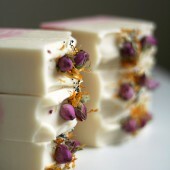 If a soap has all natural ingredients and this – can it still be called an all natural soap? The term “natural” is a bit tricky. It is not regulated, so it means something different to everyone! Sodium lactate is derived from natural ingredients, so some may consider it natural. It’s definitely personal preference how you label the soap. Can you use salt in place of sodium lactate? What is the big difference between the two? I was just wondering how it would look on an ingredient list versus salt or even sea salt. Thank you so much in advance! Also, as for your labels, we recommend listing those ingredients from most used to least used. So, the water you can just count as the water in your batch and list it with that, as the water used in the solution is just taken from that. The salt will likely go near the end, as only a small amount is used. Let me know if that makes sense! I’m starting to play around with using the CPOP method. I think I prefer the gelled look, and (I think) it also helps with making a harder bar and unmolding easier. That being said, would there still be benefit in using SL in CPOP? Just curious! Hello, I want to make a batch using the room temperature soaping technique. Since the lye water is added to the soaps before cooling, would it be alright to add the SL at trace? Please advise. Thank you! I made a 4 lb batch of soap and I think the sodium lactate caused it to e crumbly. The soap is only 5 days old. The top felt very soft but as I cut it into bars, the middle of each bar is hard, and the bottom is crumbly. Would it be okay to rebatch this batch or is it ruined from too much sodium lactate? The F.O disappeared, so I wouldn’t mind a rebatch, maybe crock pot HP? Oh no, I’m sorry to hear that! Sodium lactate can make the bars hard if too much is used. How much did you add to your batch? If not, you can definitely rebatch that soap if you like. It may help to add equal parts of a softer recipe. That would mix with the soap and make the overall result a bit more soft. A castile soap would be a great option! I’m making soap using a new technique. It’s HP using an immersion blender to maintain the heat and push the process along faster. All ingredients need to be hot when blended. Can I add the SL to the water before I add the lye? Would it still be effective? You may want to make a small tester of the lye and liquid, and see if adding the sodium lactate beforehand does anything odd. 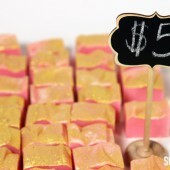 You can also make a small test batch of soap to see how it works! 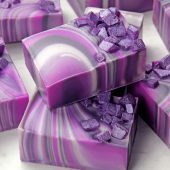 I want to use Sodium Lactate in my soap to improve life but I was wondering if I can use it in melt and pour soap. While sodium lactate works great in cold and hot process soap, it doesn’t help harden melt and pour soap. 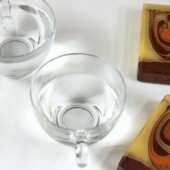 Our melt and pour bases have already been turned into soap, so the sodium lactate won’t have the same effect. Also, adding extra liquid to the bases can make them oily or greasy. We don’t recommend adding sodium lactate to our melt and pour bases. Hello! so, I can make a salt water solution to use instead of sodium lactate…but I’m a little confused. I have made CP soap one time so far and I don’t know much. 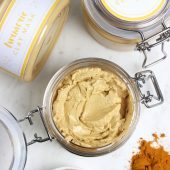 Could I use Himalayan pink salt instead of table salt?! I don’t have table salt and I don’t want to buy any. So, it’d be 4tsp in 4 oz water, and that’s added to the amount of water the recipe calls for? And is added to the water/lye when it’s cooled?! Also, this batch I made (no SL or salt water used) I left in the molds to cure for the entire 6 weeks…I can unmold them after only a couple of days?!?!? Oh, one more thing…that 4tsp/4oz is per pound of oil weight (as I saw said in another answered comment), just want to be clear?! Thanks. The amount of water in the salt solution is subtracted from the full amount of water. So for instance, if your recipe called for 14 ounces of water total, you would use 10 ounces for your lye and 4 ounces for the salt solution. That way your batch doesn’t get too watery! Typically, soap is in the mold for 3-5 days or so. When it’s firm enough to unmold, you can cut it and let it cure for 4-6 weeks. 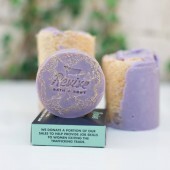 Curing the soap makes the soap firmer, milder and last longer in the shower. It needs airflow to cure, as the air helps the excess water evaporate. The 4 tsp. in 4 oz. of water is per pound of total soap. So, we recommend 1 tsp. in 1 oz. of water per pound of oils, water and lye. 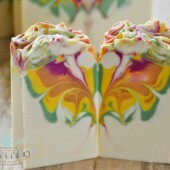 I am going to make the palm free vertical twist soap and I want to add SL. Should I still add the salt water that the recipe calls for? Would it be be too much to use both? 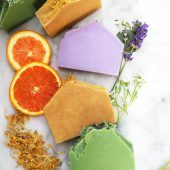 I’m making an all natural/vegan line of soaps. Does using sodium lactate make it NOT? I’ve been doing some research and I keep reading 2 sides of the ingredient! Which one is it? Hmmm…please help. “Natural” is a term that isn’t regulated. That means it can mean different things to different people! For instance, it is derived from the fermentation of sugars found in corn and beets. You may consider that natural, while others don’t! D’s is my first time of hearing about sodium lactate.can I use salt instead of SL and is sodium sulphate d same as sodium lactate. Last time I used SL I failed. I didn’t discount it from the water and I added it with the oils instead of the water. I’m making 50/50 milk soap so I don’t have to freeze the milk. I wanna use SL so I don’t have to wait too long And have a good one. when I discount the SL. Do I discount it by poo or ppo with the 50% milk? Hi! Is there an alternative to this? Like using a little salt water instead? 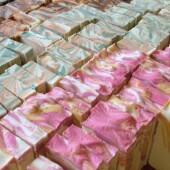 Hi, I am from Barbados, I have made quite a bit of soap andi am happy that I have found this site, the information is great. I have a quick question, please. Up to now I have used liquid SL with no problems, at 3% of oil weight. I’m not able to get the liquid form this time around, but only the powdered version. My question is, if i used this at a rate of 3% of oil weight, must I make the powder 3% before I make the solution, or is the actual finished solution (40/60) the 3% of oil weight, since I am making my own solution? Also, could I just add the powder to my lye water if i use 3% powder? Thanks, I hope this is not confusing. We haven’t worked with sodium lactate powder, so I’m not too familiar with it! 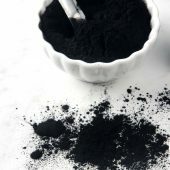 However, I did a quick internet search, and one soaper recommends using the powder at 2% of your batch weight (that includes oils, lye and water). Then, multiply that by 5 to figure out how much distilled water you need. Make sure to subtract that water from the water used in your lye so your soap isn’t too soft. Then, add that mixture in at light to medium trace. When measuring out my SL do I use the total oils weight or total recipe weight? I love sodium lactate in lotions! I find it to be a wonderful humectant that offers moisturizing properties without the stickiness one finds in glycerin. 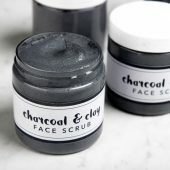 It can also be great for acne, so it’s a great addition for someone like me with oily, acne prone skin. Thanks for writing up a spotlight on this ingredient! I find that a water discount also helps to make a harder bar of soap. 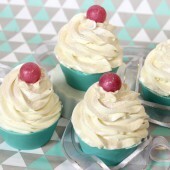 With my soap cupcakes, the first try wasn’t great, my silicone liners were sticking and pulling away the soap even after 3 days! I tried just sodium lactate in the recipe, and it helped a bit. Took a bit less time to harden up before un-molding. 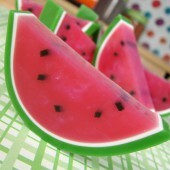 But once I added a water discount on top of that, the soap came out of the mold no problems at all! That’s awesome, thanks for sharing! Hi Kelsey, I just read your reply to Fuchia that this product has no GMO in it. As Corn could be non-GMO, I have hard time to believe that beets are clean also. All beets in USA ura genetically modified, unless grown in your own or organic garden…. I did buy it too to try in my CP soaps. I do try to make my products GMO-free, since I don’t make it for sale but rather for my family and friends. I totally understand your concern. Our vendor did assure us this product has no GMOs. I think proportion is correct. 16oz of oils = 453.59gr. What’s your thoughts about adding sodium lactate to goats milk (or any other milk) soap? You use at same amount? We usually mix in an ice bath so temperature rarely gets above 65-70. Would you add it then? Are there still the advantages of using SL? You can definitely add sodium lactate to your goat milk recipe and use the same amount as you would with distilled water. It will help harden that bar up and release earlier from the mold! I use sodium lactate in every batch of CP I make, it really does help. However I also notice that I seem to get more soda ash too so i try to keep my soap sprayed with alcohol during the process up until the unmolding. I add my SL after the cook! I will add between 3-5%. 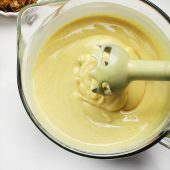 It makes such a smooth batter, and adds to the fluidity of it for swirling! It’s amazing! Just tried sodium lactate in my hot process-oven process. It was beautifully creamy and smooth when I checked on it after 35 minutes in the oven at 180F, but not quite gelled yet, so I cooked it another 20 minutes. When I took it back out, it was an oily, separated mess! I stirred, whisked, and even stick blended, which seemed to help a little, but my in-the-pot swirl (working with 2 colors) didn’t go very well due, to the runny, slippery consistency of the soap. It literally slithered out of the pot when I poured it in the mold. What did I do wrong? Too much sodium lactate? Under-cooked? Over-cooked? I used 9 grams of sodium lactate, after measuring out a teaspoon, seeing that 1 tsp was 6.8 grams, and multiplying that by 1.375 (I had 22 ounces of oil). Any advice would be much appreciated. . .
Do you mind if I ask what’s in your recipe? Also, what fragrance did you use? Let me know and we’ll figure this out! I used 1.6 oz of “Christmas Forest,” but I don’t think the fragrance oils can be blamed, since I added that after the cook, when the soap was already weird. Recipe was 6.5 oz coconut oil, 6.5 oz palm oil, 7 oz olive oil, 1 oz castor oil (these ratios are my standard base recipe), with 1 oz sweet almond oil added w/ the FO after the cook. Superfat was 6.1%; 4.1% of that was from the sweet almond oil after the cook, 2% was from the base oils. I used 0.22 oz citric acid, which represented 1% of oils (for chelation purposes), mixed with 4 tablespoons of water, which I whisked in at thin trace. After adding the citric acid, I split the batch in half, added the color to one half, and stick blended both halves to thick trace before putting them in the oven. Water was 8.3 oz. Lye 3.25 oz; 3.12 oz of that was for the base oils (without the sweet almond oil) at 2% superfat, and 0.13 oz of that was to react with the citric acid so it would convert to sodium citrate without consuming any of the lye needed for saponification. I added the 9 grams (0.32 oz) of sodium lactate to the cooled lye water (about 120F) before mixing the lye water with the oils. It was absolutely gorgeous while mixing and tracing and after the first part of the cook. . .until I took it out the second time after another 18 minutes in the oven. Then it was oily and separated and truly revolting. Have you ever heard of this happening due to under or over cooking? I put it in the mold and hoped for the best. When I took it out this morning it seemed normal except that it was rather oily all over the outside of the loaf, and I could see little pin-pricks of oil in the soap when I cut it in half, although that seems to be absorbing/drying. There are lots of small air pockets, presumably because in my distress I forgot to tap the mold on the counter. The irony is that in spite of the air pockets and the ruined swirls from the weird texture after the cook, it lathers up nicer than anything else I’ve made, and it feels lovely on the skin, very conditioning. It tested at 9.5 on my pH strips. No zap or anything. But it’s hideous to look at. I’m not sure the performance is worth the appearance. Ideas? I’d like to keep using the sodium lactate, but I don’t think I can if it separates on me and prevents me from doing swirls! Thanks so much for any help you can give! Thank you so much for that recipe! It sounds like you’re doing everything just right. I think heat may be the issue. Typically, you don’t want your soap to get any hotter than 200F. If it does, the water inside can start to evaporate and create air pockets. It may also create the separation. You may want to get a temperature gauge for your oven to check and see how hot it’s getting. If it’s 200F or warmer, you may want to leave your oven open to let some of that hot air out. Some soapers also use a crockpot to help regulate the temperature while they’re soaping. 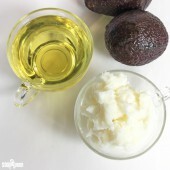 Can sodium lactate be added after the lye has been poured into the oils? 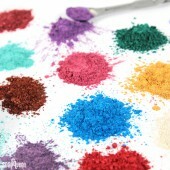 I sometimes forget to add it and remember when I’m about to stick blend the mixture. From a quick internet search, it sounds like you weigh out sodium lactate powder to your desired level, and then multiply the amount by 5 to figure out how much water to use. Then, subtract the water total from your recipe, mix it with the powder and add it back to the soap at a light-to-medium trace. I have just purchased the sodium lactate and have tried it in 3 different batches of soap. The bars are definitely harder, which I like, but each batch has little white dots everywhere. It’s not completely a bad thing but it takes away from the swirling that I have done. Is there a trick to not getting this effect? I had that problem too. I haven’t been happy with SL yet, but everybody else seems to love it so I’m trying to figure out what I’m doing wrong. So far it has not worked well for me. We haven’t really found that’s happened in our soaps with sodium lactate. However, there are several other causes of spots, including air bubbles. 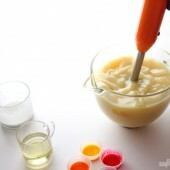 To get rid of those, pour your lye water down the shaft of your stick blender before blending. Then, after your soap is in the mold, give it some good taps on your counter. 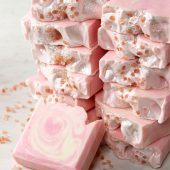 When using Sodium Lactate for CP soap, is it ok to do a water discount, or do you need to use full water? Thanks! I tried a batch 2 days ago with the 1 tsp SL PPO and tried to unmold after 48 hours, but the soap is stuck in the mold. Any ideas how to get it out without damaging the loaf? Any ideas what I’m doing wrong? I made two batches back to back with the same recipe, colors, EO’s, etc, with one with the SL and one with 1 TSP salt PPO, and it came out of the mold no problem, but the SL batch is sticky and stuck. This is a tried and true recipe that never gives me any problems. I’ve tried SL several times with all disastrous results. What am I doing wrong? Salt H2O works fine, but not SL. Hmm, that’s weird! 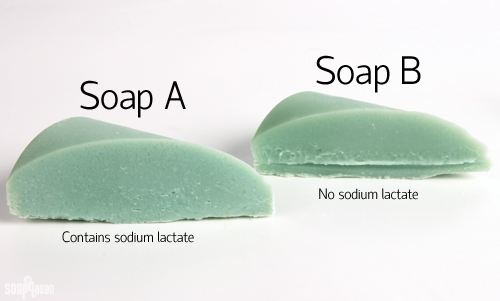 Typically when you add sodium lactate your soap unmolds faster. Are you adding the sodium lactate to your cooled lye water? Also, do you mind if I ask what’s in your recipe? I have a question about Sodium Lactate. Can it be used in a hard bubble bath bar recipe? Since there is so much glycerin in the recipe it seems my bars never fully harden and when I cut down on the glycerin the bars get crumbly and do not want to hold their shape. After a year and a half of testing, we found that recipe works well, so adding an extra ingredient may not work so well. Hey, Ann Marie! Sodium lactate is great for hot process, because it keeps your soap so much smoother when it’s time to pour! The difference is amazing! I think the Soap Queen lab needs a crockpot, or at least someone who knows about hot process. I feel like we are the ignored minority! Thanks for all the awesome tutorials and info! Do you add the sodium lactate into the lye water at any time, in the same amount? I only hot process (just started) and am doing a lot of trial and error right now. Thanks for the tips, so does that mean Sodium Lactate has GMO in it because it comes from corn? Hmmm, I’d like more info. I’ll try to contact the company, because unless it’s organic, pretty much all corn and beet sugars found in the USA are GMO right now. We can’t give out vendor information, but we have several documents on the product, including the MSDS. I’d be more than happy to email those to you!